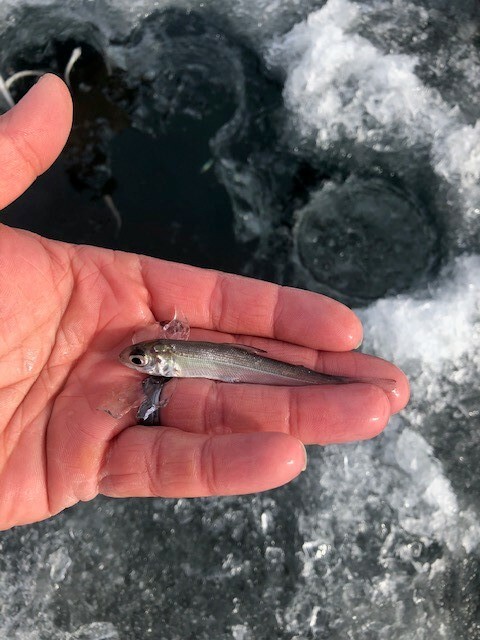 Posted 1-28-19: On January 17, 2019 a total of 164 lake whitefish (LW) raised at the SUNY Cobleskill campus fish hatchery were released back into Otsego Lake through the ice off Three Mile Point near Cooperstown NY. The fingerlings ranged in size from 100-125 mm. These fish were the offspring of adult LW captured via eboat and spawned by SUNY Cobleskill in December 2018. All of the stocked LW are marked with calcein, which consists of a dye that stains hard body parts (i.e., fin rays, otoliths). This marks the first official stocking of LW back into Otsego Lake since 1942. Currently, several other species of Coregonids are being raised and stocked back into their native waters around NYS but lake whitefish is not one of them. 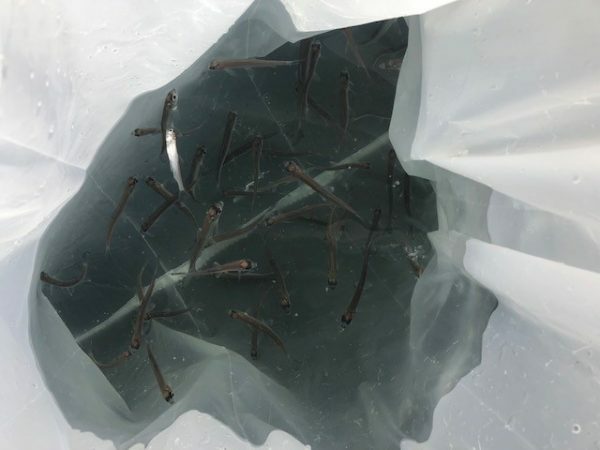 This experimental propagation program by DEC R4 Fisheries and SUNY Cobleskill is one phase of a 3-part restoration effort for the species that has resulted in very little success as most LW offspring spawned and raised between 2015-2018 perished before they could be tested disease free, marked/tagged, and stocked back into Otsego Lake. Nevertheless, DEC Bureau of Fisheries thanks SUNY Cobleskill for their extensive efforts in trying to raise this fragile/important species.